Developed with the One Mind intelligent engine, improving the basic experience of the system. Brand new icon design, exquisite interaction experience, seamless dynamic coverage, offering a bright new look for users. With the update, we greatly reduced lag time when running multiple applications, improving the smooth experience by deallocating extra memory and defragmentation. We solved the application anomalies caused by insufficient memory. The mobile phone can return to normal status after restart, and operate immediately without the need of reloading. Memory is greatly freed up, making room for privileged applications. The system will thoroughly clean up the background based on daily usage habits. Optimizations have been made for 300+ high-frequency scenarios, which will accelerate startup especially for fingerprint unlocking, gallery refresh, video playback, startup and shutdown, etc. Remaining memory of the system is controlled based on the size of memory, which will greatly reduce the memory shortage when running multiple applications. Different measures are adopted when running applications in the background, and the pure background is kept through the freezing and clearing strategies. Optimizations have been made in broadcast interception between systems and applications, delaying background CPU and network activities to protect the battery and reduce power consumption. Highly customizable AI beautification is provided, which can adjust the effect for skin color and skin type features, and offer a unique beautiful effect. The speed of virus detection is greatly improved. Real-time detection of applications in operation denies any shelter for virus. Natural color combination is provided to reduce damage to eyes caused by blue light, and reduce the feeling of fatigue when reading. Automatic adjustment of the volume level after plugging in headphones, intelligent reminders about reading duration, reducing hearing impairment. Advanced detection algorithm can collect your facial information. Recognition and unlocking takes only 0.1s. You can quickly find and launch apps in your mobile phone by simply swiping up and down on the left and right edges of the screen to trigger an index. The system has intelligent recognition of scenarios, as well as automatic use of beautification effect during video chat via WeChat. You can remain exquisite and elegant even in unexpected appointments. Automatic focus is used after facial recognition so that the camera can easily capture every smile of the user. The system recommends function cards such as simplification, virus scanning and killing by combining with status of the mobile phone, achieving efficient management and one-click direct access. The system classifies the file types by the application’s dimension and provides cleanup suggestions to avoid accidental deletion. File management: Two mobile phones in the same network can quickly transfer pictures and files through QR code. The system supports rating and comments by users after completion of update. Your true feelings are the driving force for optimization. Fingerprint unlocking speed is improved. Weather animation has been fully upgraded to create real, lively weather information updates. Layout is adjusted according to functional categories. Streamlined page design improves ease of operation. 1. System update obtained through mobile phone pushing is safe and reliable, and it will not take up storage space or result in data loss. 2. Update will take about 10 minutes. Please wait patiently. Please do not press any keys on the mobile phone during this process to avoid update failure. 3. During the update, the mobile phone will automatically restart. The phone may heat up slightly during this process. This is normal and is not cause for alarm. 4. Descr iptions in the system update may vary with the version and model of the mobile phone and network operator. Thank you for your understanding. Susilmaji： we need flyme 7 in m3 note ...can we? 用户538508 ...： pro7 plus, after upadating to the latest stable version(7.1.0.0G) , battery getting down so fast and that is terrible, please fix it. User520965 ...： Pro 6 Plus: GPS sometimes doesn't work in new version. Tell me someone is it planned to make OS7 for M6T ? 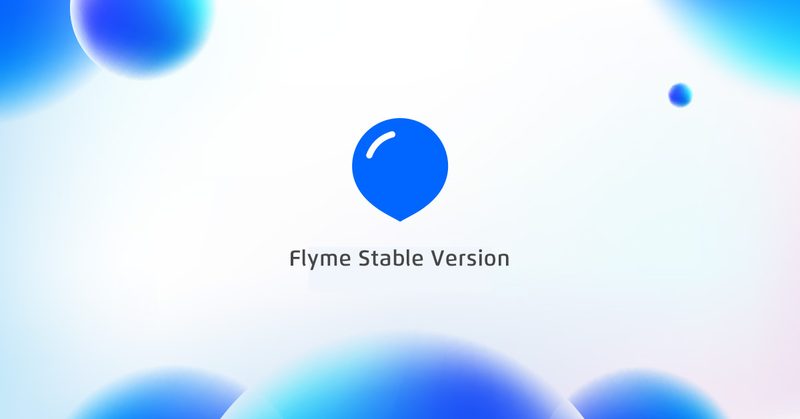 I recently updated my flyme software to version 7.1.1.OG and it does not detect my SD card, my sd card is a Sandisk of 64Gb, I have read several forums of flyme with people with this same problem and I have come to the conclusion that it is an error of the new update of flyme that despite having already updated three times in the version 7 still presents that same error, I hope your prompt response and help, in advance thank you very much. CADE A ATUALIZAÇAO DO FLYME 7 PARA O M5C ? How about M3 note. Flyme 6 version are too buggy (6.1, 6.2 and 6.3) and laggy. Performance vice and battery consumption vise flyme 5 is the best choice so fa. I'm using the same. Eagerly waiting for one the last and best update for m3 note. Not really concerned with flyme or android versions only conscious with performance and compatibility . Meizu Pro5 Flyme7 Global Update ? Please...! from my LG smart TV. I downgrade to Flyme 6 and it's goes well, but not with the upgrade... very disappointing. Moreover some apps can not be download from google store - error code 0. Major sync problams with contact. The new display is very nice... but the issues are too big so I downgrade and stay with Flyme 6.